Your roof is one of the most important parts of your home property. Throughout the year, there are several storm and hail related cases that affect most homeowners in and around Murfreesboro, TN. The intense weather comes with lots of damages that need immediate attention to avoid further harm to your investment. Seasonal storms are never a surprise in Rutherford County; the only remedy is to get ready for one. If your area is prone to hailstorms, worry no more; we’ve got you covered. At Beneficial Roofing, Murfreesboro; we’ve what it takes to restore your roof and property back to safety. We’ll also work with you and see to it that you claim substantial amount from the insurance company for your damaged roof. Our services go beyond the residential roof repairs. Our team of qualified and licensed professionals has gathered enough skills and expertise in both residential and commercial home roofing. We have stood the test of time in the market with a good reputation in both roof inspection and roofing exercises. Our builders will always inform you on the level of damage and involve you in the decision-making process to ensure quality work and guaranteed satisfaction. Once we’re at your service, all you need to do is relax and we’ll comfortably walk you through the whole process. 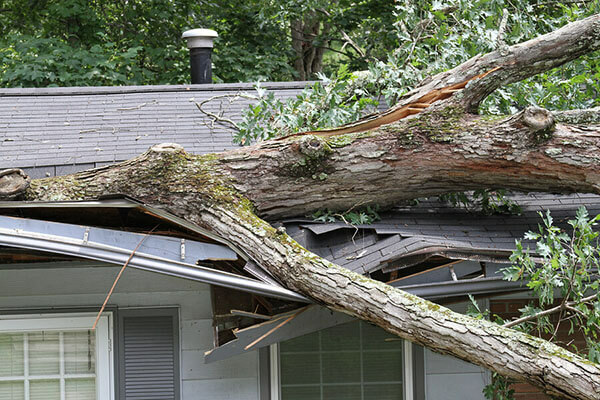 When it comes to roof damages, a lot happens without our prior knowledge. A regular roof inspection, especially before the storm-prone seasons, is necessary. These are some of the common roof challenges. Hailstorms can mess with your drainage system hence blocking the gutters. In a case of such issues due to heavy storms; we’ll carefully unblock the gutters while taking care of leakages, in a case of any. Pools of water on your roof top should be your last experience since this can cause the shingles to wear down and finally find their way into your precious home. Shingles are among the first line of defense to your structural roof. Once the shingles go missing, the roof becomes exposed to the adverse rains and storm winds. In case any part has worn out shingles on your roof, we’ll safely replace before any advance damage. Roof flashing is a water resistant weatherproofing material on the roof that prevents it from leaking in adverse weather conditions. If the flashing finish cracks, it’s a clear indication that the roof is in a mess. The flashing material is strong and durable enough to serve your roof for some substantial time. That said, this metal material will eventually wear and this is the perfect time to do some replacement. As part of our services; we’ll first check the blue tarp covers in your damaged roof so as to know the main cause and extent of the damage. Beneficial Roofing is your all-in-one roofing solution; we strongly believe in quality services while customer satisfaction remains our top priority. we offer free estimates and a no obligation quote. We can also work with your home insurance firm when it comes to your damaged roof pricing. We are more than accustomed to this kind of insurance deals and won’t gamble with your investment.